Ingenuity and self-reliance are valuable qualities in a boy or man," writes famed outdoorsman Daniel Carter Beard. And what better way to foster them than by workingor playingwith your hands? For fathers who want to build the model ships (or real boats!) they never knew how to build, and sons who want to build the ultimate snow fort, The Outdoor Handy Book is a perfect compendium of wisdom and mischief. In its pages are directions for flying paper dragons, stilt-walking, playing dozens of ball games, building doghouses, capturing butterflies and frogs, and much more. 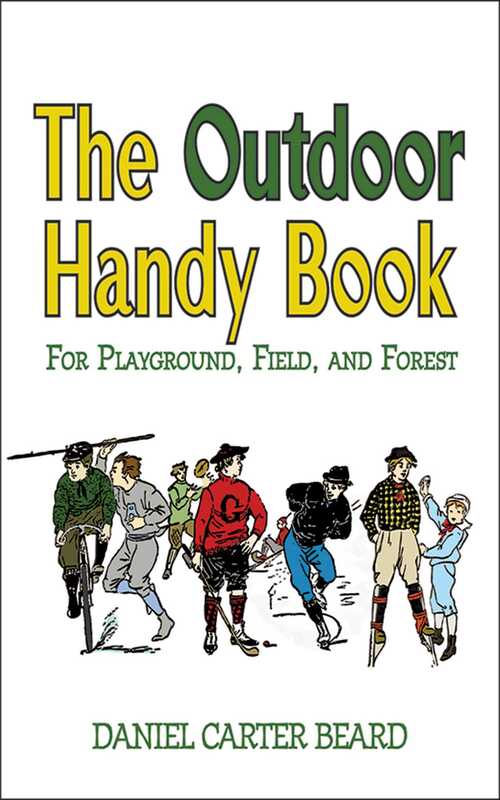 Fully illustrated, and replete with notes to make sure that your fun is varied, continuous, and instructional in every season of the year, The Outdoor Handy Book is great all-ages activities resource, whether you're at the workbench or communing with nature.